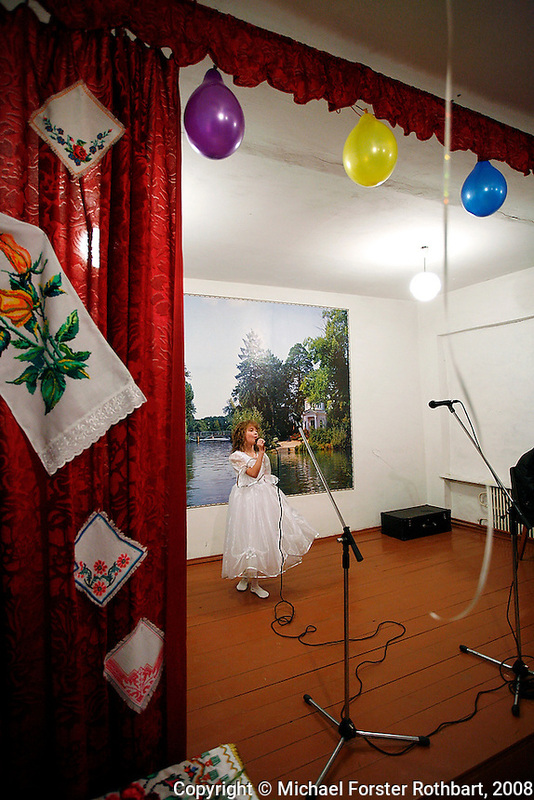 The citizens of Sukachi, Ukraine, celebrate their village during the annual "Day of Sukachi" with a community concert in the village hall including performances by children and local musicians. Village leaders present certificates of appreciation to nearly everyone in the overflow audience. Original caption: .The citizens of Sukachi celebrate their village during their annual "Day of Sukachi" with a community concert in the village hall, including performances by children and local musicians, and presentations of certificates to recognize the work of certain individuals..-------------------.